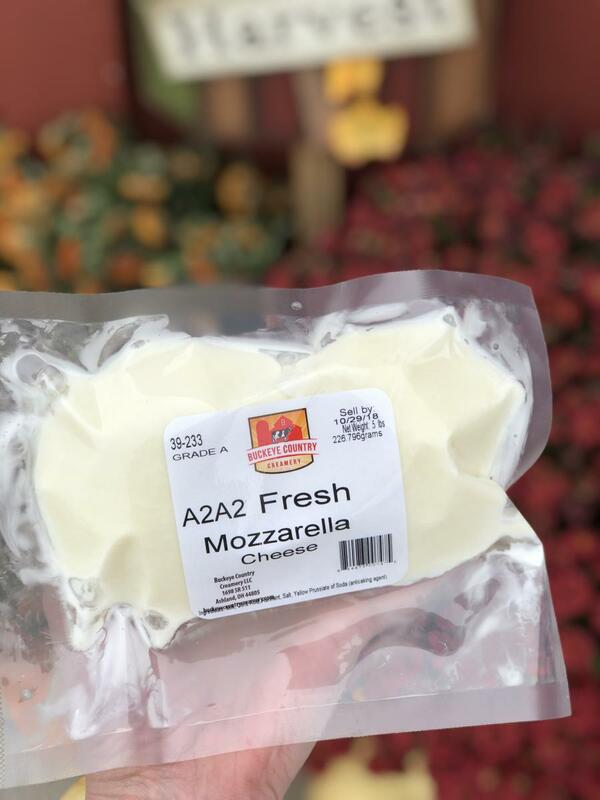 This exceptionally fresh unsalted A2 mozzarella is milky, tender, and mild, with a faint layer of cream beneath. It is easier to digest, low temperature vat pasteurized cheese with natural cultures and exclusively produced from Buckeye Country Creamery's family owned and certified A2 cows to preserve natures healthiest benefits and better taste. Made in Small Batches. Sold vacuum sealed and by the Half Pound.